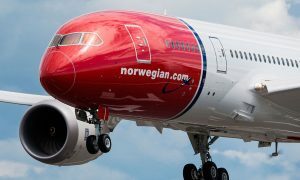 Norwegian Air Shuttle ASA has successfully completed a new unsecured bond issue of EUR 125 million with a four year tenor. Earlier this year Norwegian has issued a similar size three year bond in NOK. The bond was issued with a coupon rate at 7.25 %, semi annual interest payments. The net proceeds from the bonds shall be employed for general corporate purposes and to support the future growth of the group. 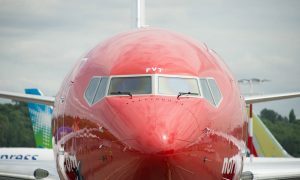 In October Norwegian signed an order With Boeing to buy 19 787-9 Dreamliners, scheduled for delivery in 2017 to 2020. “We are very pleased to have completed our first bond issue in Euro”, says CFO Frode Foss. “With this transaction we have broaden our base of bondholders from the Scandinavian market to the international market. Norwegian continues to attract financing and utilizing different sources of funding of the group and future growth”, Frode Foss says. An application will be made for listing of the bonds on Oslo Stock Exchange. 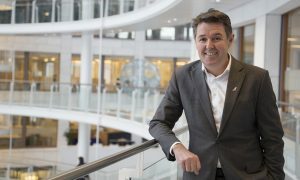 Danske Bank Markets, DNB Markets and SEB acted as joint lead managers in connection with the placement of the new bond issue.